Gina was born on April 21, 1955 in St. Paul to parents, Clifford and Carol (Houle) Dupre. She attended Centennial Schools and graduated with the class of 1974. Gina attended 916 Vo-Tech where she completed a degree in hairdressing. She worked at her aunt Doris’ Houle Hair Design for a couple years and later worked out of her home for a short time before taking a job at Nelson’s Grocery in North Branch where she worked in the Bakery and Deli Departments. Gina later took a job as a Dietary Aide at the Birchwood Healthcare Center in Forest Lake where she worked for nearly 20 years before her health forced her to leave the job she loved. Gina married Scott Wiberg on May 11, 1975 at First Lutheran Church in White Bear Lake. Gina and Scott eventually settled in Harris to raise their three children, Sherine, Nicholas and Shonna. She loved baking and cooking and was proud to have her “Taco Sloppy Joes” recipe published in the Goose Berry Patch Cookbook. She will be remembered as a sweet lady who was devoted to her children and her church and always saw the best in everyone. Gina is survived by her children, Sherine Wiberg of North Branch, Nicholas (Alma) Wiberg of Hugo and Shonna Wiberg of Harris; her mother, Carol Dupre of Maplewood, granddaughter, Alexa Wiberg and grandson Jovany Negrete; sister, Cindy (Lyle) Olson of Shakopee, brother, John (Kim) Dupre of Marine on St. Croix as well as several nieces and nephews and many friends. 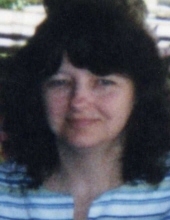 She is preceded in death by her husband, Scott in 2013 and her father Clifford Dupre in 2009. To send flowers or a remembrance gift to the family of Gina M. Wiberg, please visit our Tribute Store. "Email Address" would like to share the life celebration of Gina M. Wiberg. Click on the "link" to go to share a favorite memory or leave a condolence message for the family.